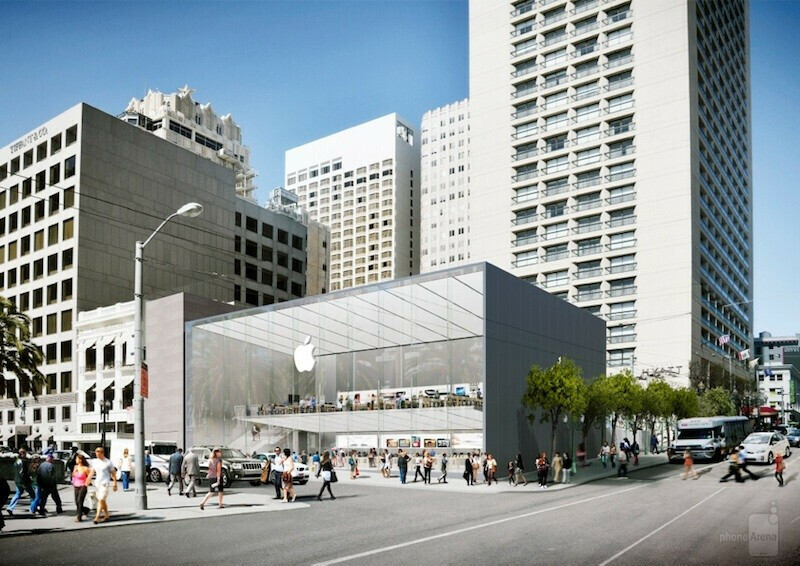 Last month, Apple filed a plan to move the Apple Store in San Francisco to a tony location in Union Square. While city officials seemed to be happy with Apple's plans, not everyone was ecstatic. The plans call for Apple to dismantle a water fountain sculpture which did not go over well with the inhabitants of San Francisco. And now, the city's Planning Department has a list of changes that they want Apple to follow. It seems that one thing that city officials are nervous about is a huge glass wall that will be located along the front of the store. They want Apple to break up the glass area by adding textures or colors to it. As for the fountain, the officials would rather that Apple work it into the design of the store rather than pull it out like a weed. Additionally, the Preliminary Project Assessment (which you can read by clicking on the sourcelink), notes that the store is within 300 feet of an "Urban Bird Refuge" which means that certain regulations must be adhered to including the use of minimal lighting and the banning of event searchlights. Surely this isn't the kind of bureaucratic nonsense that Apple CEO Tim Cook needs to occupy his time, as the executive has some other worries on his mind. Then again, now that it appears that Apple has finally divorced Samsung, the executive might have some time to deal with the fountain issue. San Francisco mayor Ed Lee had high praise for the plans when he first saw them, but says he was unaware that the fountain, made by San Francisco artist Ruth Asawa, would have to be removed. Mayor Lee hints that a decision will soon be made as to the fate of the fountain. Stay tuned. Good. They should of use concrete instead of glass like their phones. Anyone can easily rob a Apple store. You actually think Apple stores get robbed so easily? They have security up the --- protecting the store lol. I knew someone was going to reply with this video. But again, how often do their stores get robbed? Two things though: 1- Criminals are opportunists; there are plenty of people willing enough to show off their iPhone ripe for the picking versus a harder secured target. and 2- Purely speculation here, but based on the company's normal practices and tactics they'd do their best to keep reports of any store thefts suppressed as much as possible to prevent any negative public perception or safety concerns so they don't lose sales. Nothing Cook can't get his way with. What's the going rate to bribe officials to allow violating the conditions an urban bird sanctuary has? Next to Tiffany will be a much better and more visible location. It never made sense for that store to be half a block off the square. As for the fountain, knowing Apple, they will pay to have it relocated, undamaged, enough so that they can build and everyone is happy. "Surely this isn't the kind of bureaucratic nonsense that Apple CEO Tim Cook needs to occupy his time..." Ugh... Someone true colors are showing. It's supposed to stand out. Apple Store is far more grand than any other lame store. Stand out or look stupid. if a Quake happens in frisco the apple store will come down. Which would probably be no big loss. If a quake happens that's strong enough, everything is coming down. Bad example Zero. That's okay .... if it does come down we can all chip in and send the Frisco store some krAziGlue so they can put all the pieces back together. Not true. Visit downtown Chicago and you'll see some of the best looking stores everywhere, from the 2 floor Puma Store to the huge Nike store. Mxy is a bit biased, if you haven't noticed. Mxy is always biased. Well, not always, but most of the times. He's rite though Doug. The design is supposed to stand out. Very true. Fortunately there's a ton of stores that aren't lame. Their new store looks good, but they need new products, not new stores. Without new products(and I don't mean 5S), their store is just a hollow hall. Must've been the same canary cΠnt who threw me out. You sound like the douches that go to Walmart stores then tell employees who simply work the store stocking and helping guests, "Oh, Target is better because of blah blah blah." I always feel bad for them because I know in their mind they're thinking, "Idgaf, I just work here". I bet you went home and high-fived your buddies acting like you were such a badass that day. Exactly. Seems like jacko went to the store looking to start trouble. I'd have asked him to leave also. He seems like a mega fanboy. http://www.apple.com/de/retail/kurfuerstendamm/ This store in Berlin is the best by far. 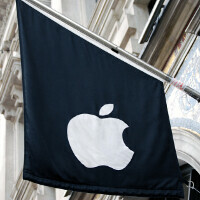 And stop hating Apple,it has the best design even with theirs stores. Whatever they do, it will be an utter iSore to dt 'Frisco; I'm shocked the girls on the City Council went for anything that was not mission style.